An optimal control problem is constructed so that its control runs over an everywhere dense winding of a k-dimensional torus for arbitrary natural k ≤ 249 998 919 given in advance. The construction is based on Galois theory and the Wolstenholme primes distribution. Original Russian Text © D.D. 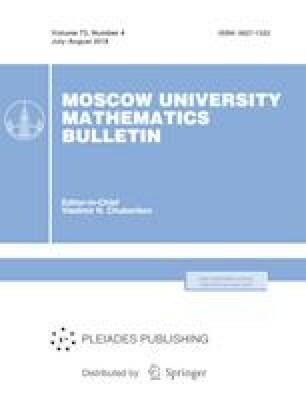 Kiselev, 2018, published in Vestnik Moskovskogo Universiteta, Matematika. Mekhanika, 2018, Vol. 73, No. 4, pp. 60–62.